Leads are the metric we must rely on because leads equal money. As a business, as a marketer, what is your most important objective? 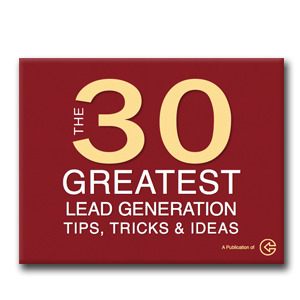 The answer should be generating leads. Conversion marketing is a term that is sometimes used to describe the process of inbound marketing but with a focus on the conversion aspect. Simply put, conversion marketing describes how you attract new website visitors, then convert them into leads. This process is achieved in countless different ways. This blog post was created to shed some light on the conversion marketing process. Lead generation and lead nurturing (which is just as important), has many moving parts. We will explain what this can look like from a high level but if you need to understand many of the more complex details, download this conversion marketing eBook. This eBook will act as a step by step guide showing you 30 of the best conversion marketing techniques. These conversion marketing tactics have been over the past 7 years and will provide eye opening insight into so many of the moving parts of successfully generating and nurturing qualified leads. Your Offer - Offers are obviously different for every business but a good offer is some type of valuable content you are willing to provide at no cost to your visitors. Examples might be coupons, discounts, eBooks, whitepapers, a free consultation or a product demonstration. CTA (call to action) - A good call to action could be in text form, image form or a button that encourages your visitors to take this action and click through to the landing page that represents your offer in great detail. Landing Page - A landing page is a very focused web page that concentrates on the details of your offer. The content on the landing page should explain why your offer is beneficial and include a form that lets the visitor request what you are offering. Forms - Forms are the essential component that allows you to capture your leads. If your landing page is effective, your visitor will complete the form to request and receive your offer. When you develop an effective conversion marketing strategy, you transform all of your other inbound marketing efforts. By using multi-channel marketing, you will have the ability to generate many more leads through your new offers, calls to action, landing pages and forms. The results will be securing higher quality leads while reducing your overall cost per lead. This blog post explains the basics and are really just the start. When you download this guide you will learn all the best practices for an effective conversion marketing strategy. When you master this process, you will explode your productivity. Good luck in your marketing efforts and we congratulate you for researching this information. It will make you a better marketer.